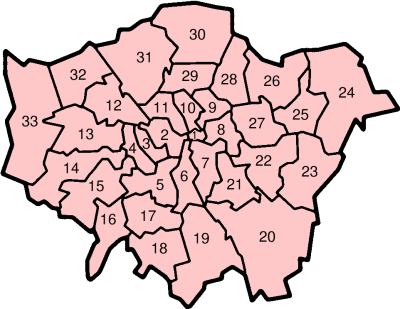 A London Borough is a district of London. There are 33 of them, including two that also call themselves cities - the City of Westminster (where Buckingham Palace and the Houses of Parliament are) and the City of London (the oldest part of London). Each Borough has its own local government. This page was last changed on 22 April 2017, at 18:36.